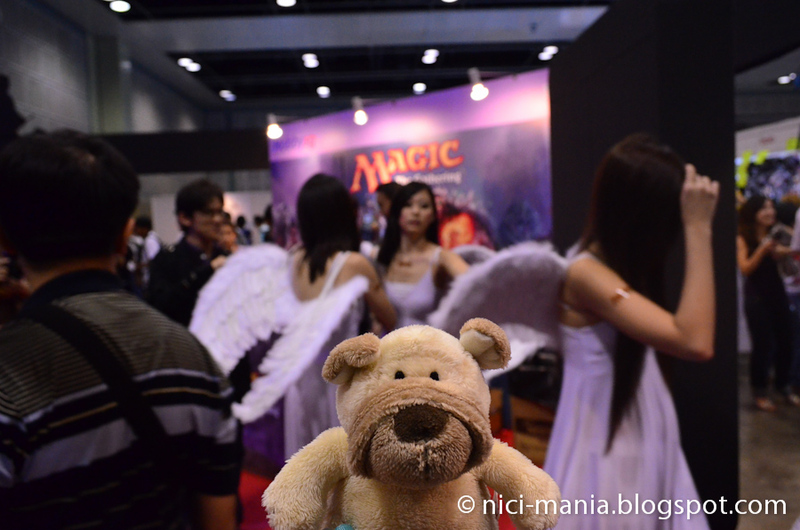 NICI Pug is at AFA11 - Anime Festival Asia 2011 held at Singapore Suntec City convention hall. 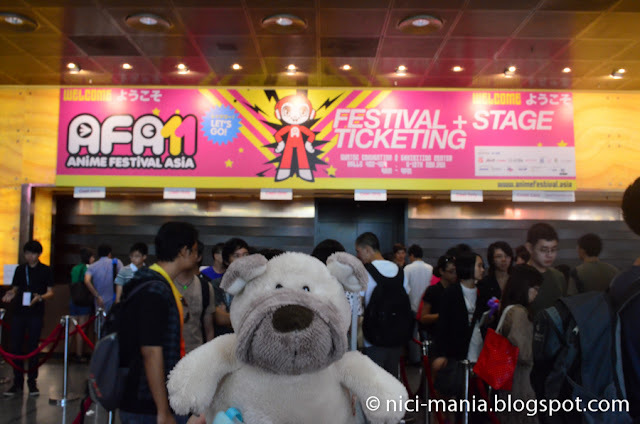 There is a long queue to get the tickets! Let's go! 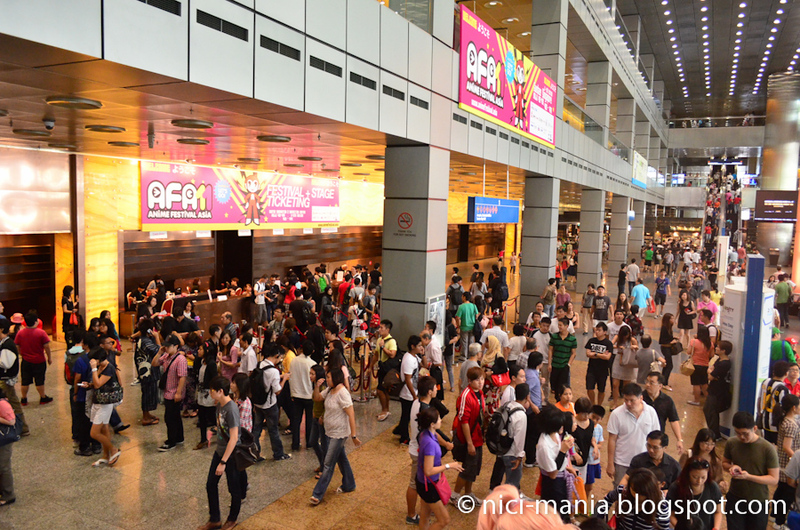 The tickets for AFA11 cost S$8.00 each. 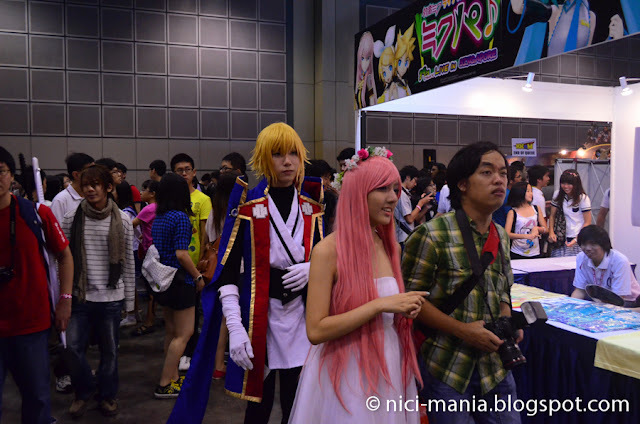 Anime Festival Asia is where Japanese Anime lovers and cosplayers unite. 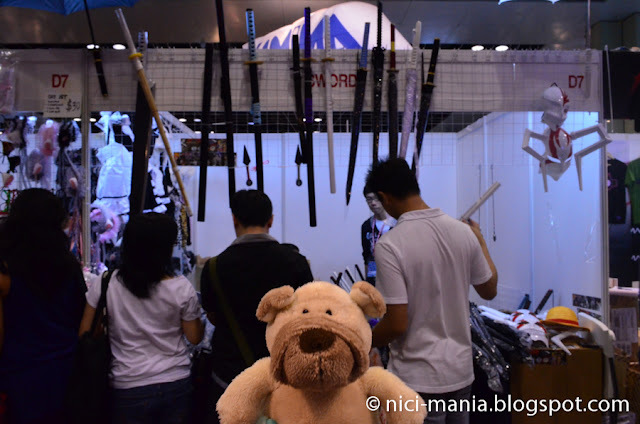 NICI-Mania loves Japanese Anime hence we're very excited today! 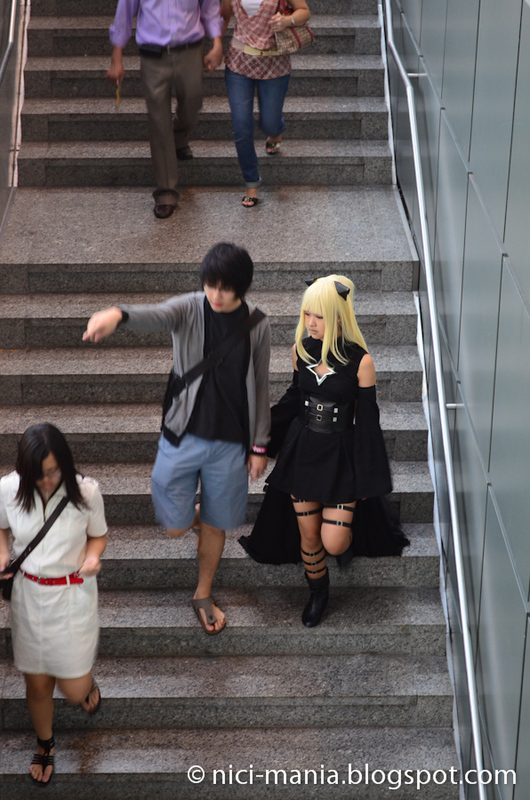 AFA11 is at level 4. Look at the enormous Sunday crowd! 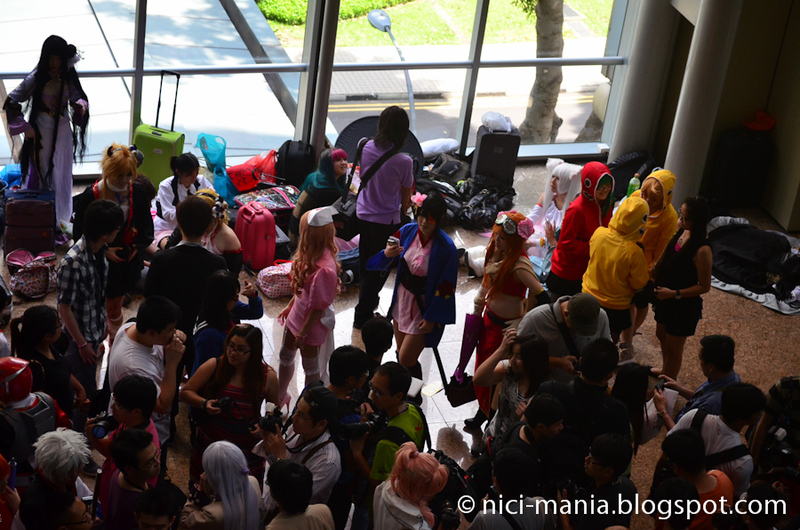 We don't see any cosplayers, yet..
And we saw lots of cosplayers! 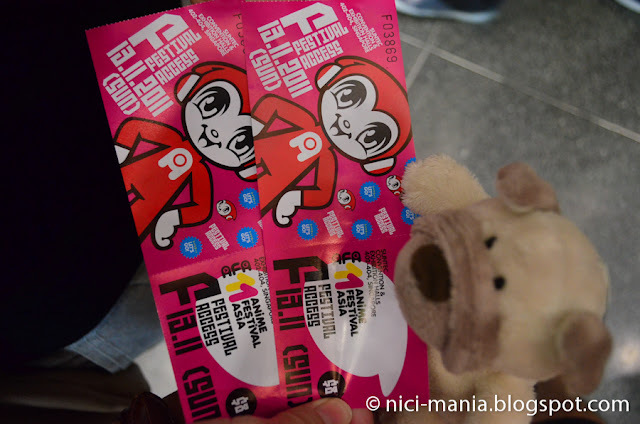 Finally getting the feel of Anime Festival. 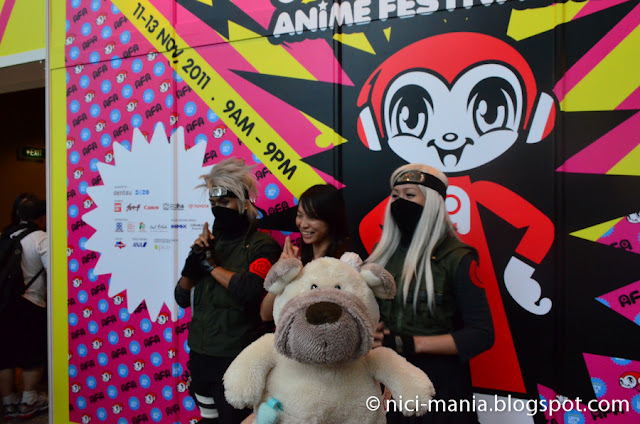 As we get to the entrance of AFA11, NICI pug saw Kakashi sensei from Naruto! And a female kakashi sensei? Huh? 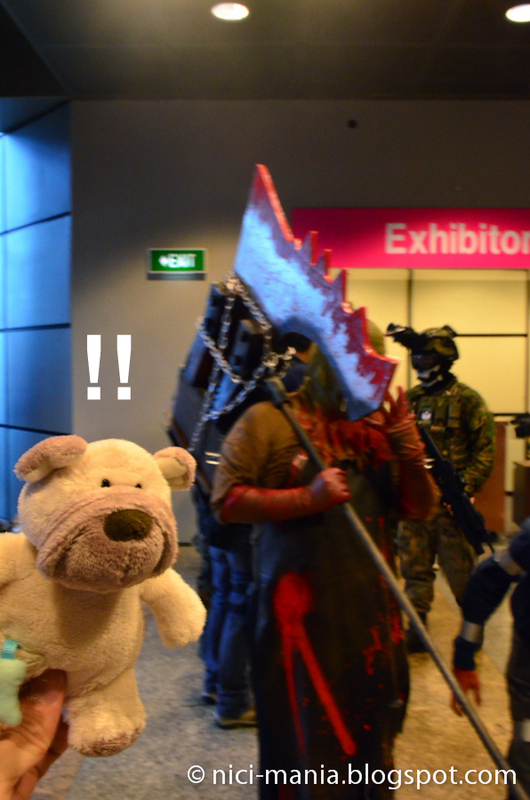 Whats that scary thing with a monstrous weapon?!!!! 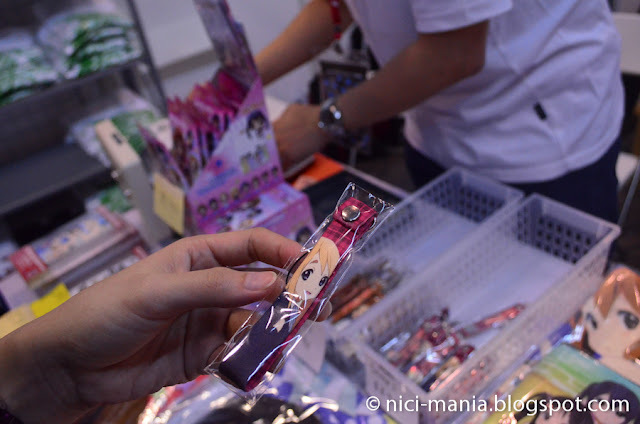 NICI Pug escapes into the exhibition hall of the Anime Festival Asia and we saw Yui from K-On. Hey doggie, ahem, its kind of inappropriate for you to be sitting in between Yui's leg! 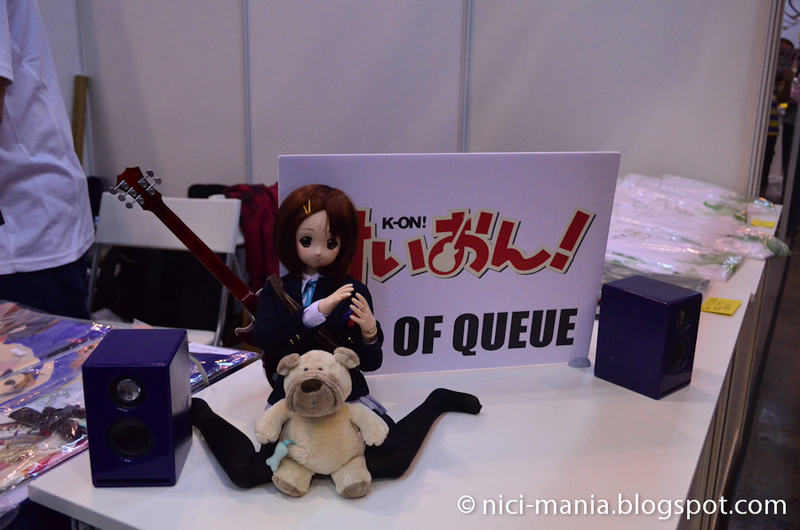 We got some K-On merchandise at AFA11. 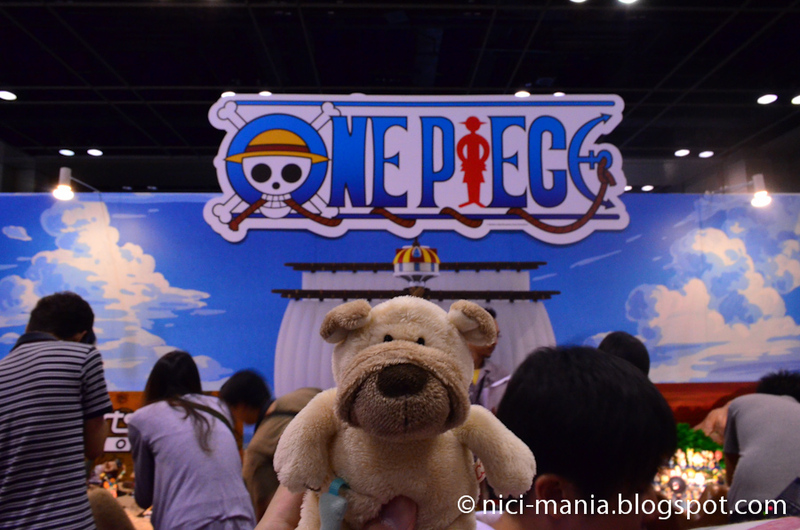 We reached the One Piece booth!! 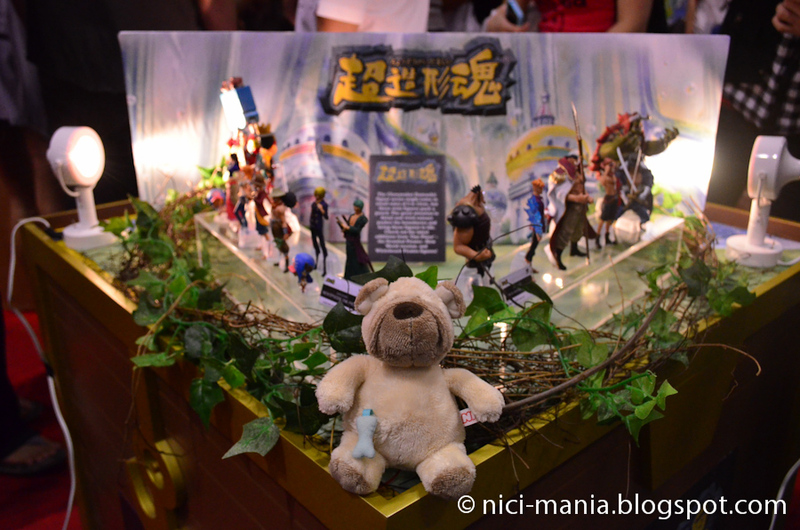 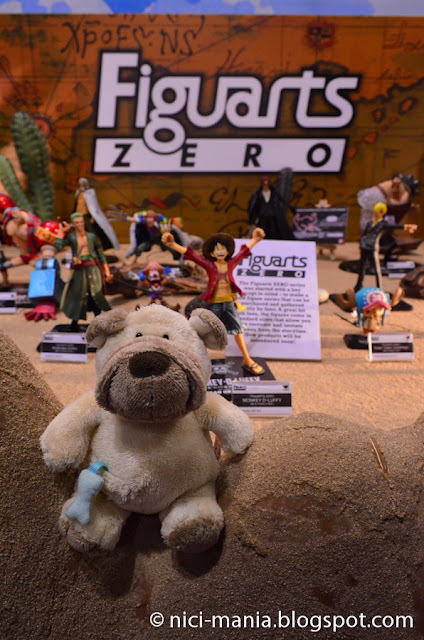 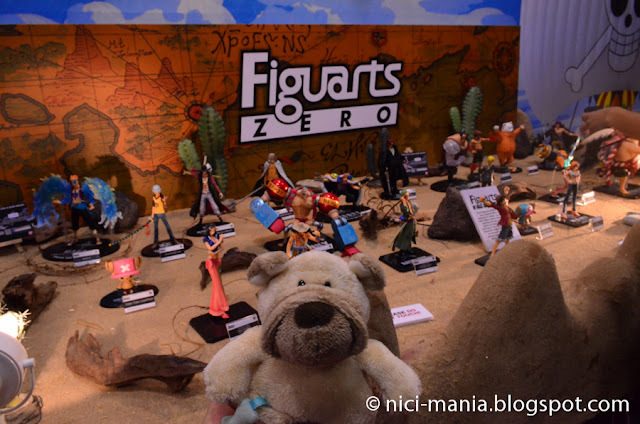 NICI Pug with part of the One Piece characters at AFA11. 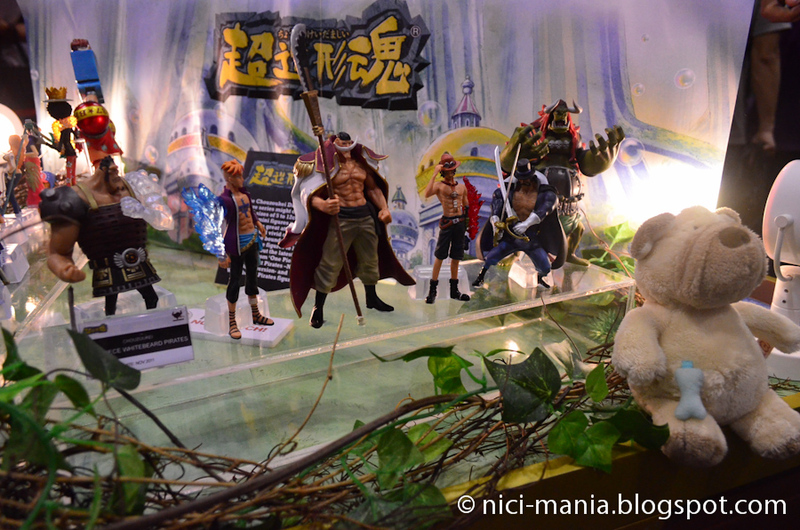 One Piece's White beard and his pirate crew!! 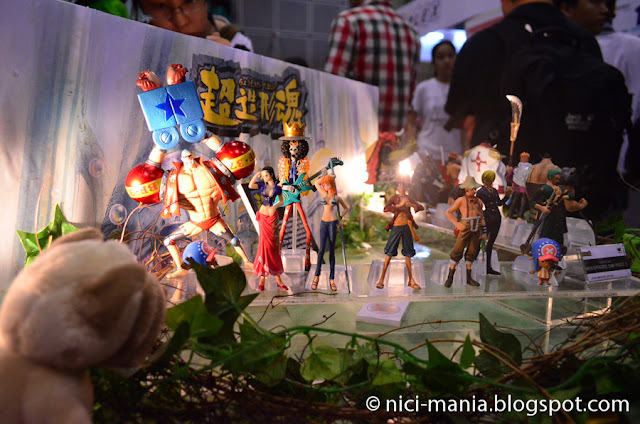 Luffy and his straw hat pirates! 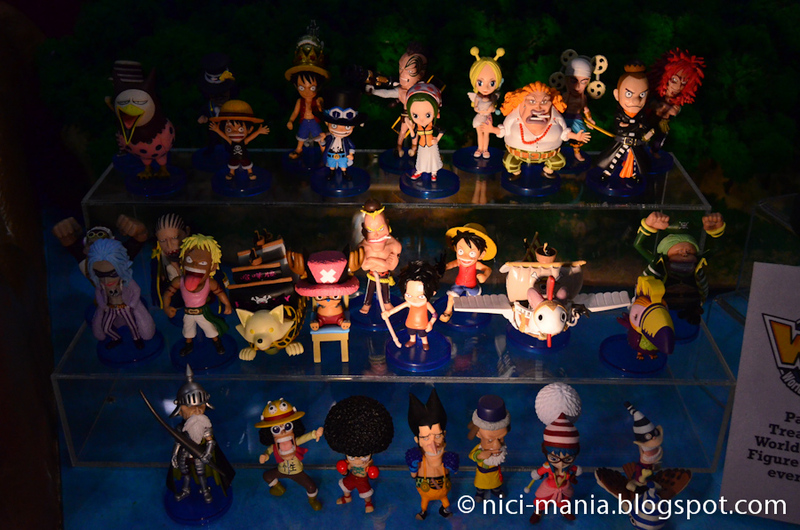 One Piece probably has the biggest booth at AFA11. 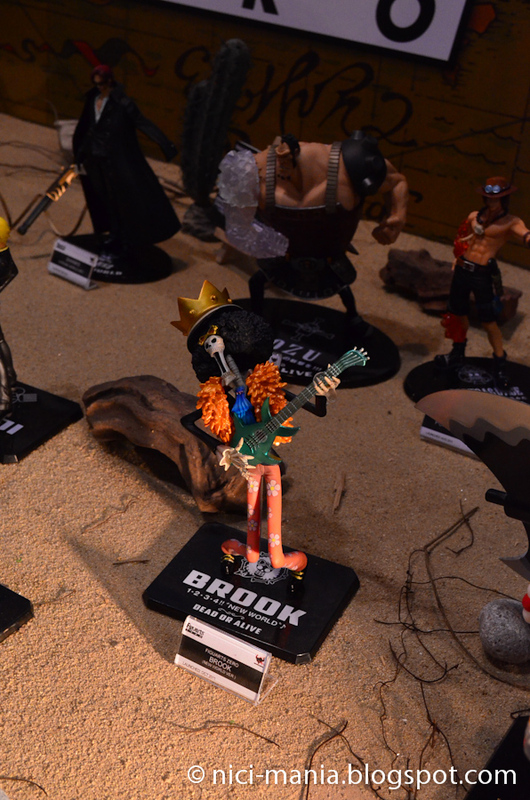 Brook looks very cool with the guitar! 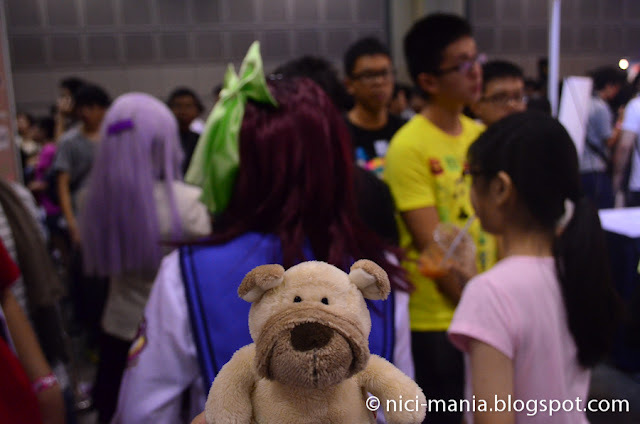 and some with purple hair..
Then we passed by the most crowded place at the Anime Festival Asia. 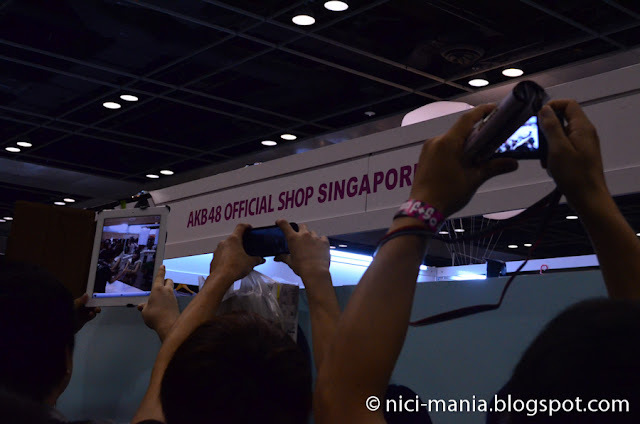 2 members of the guinness record world's largest pop group band AKB48 from Japan is here. 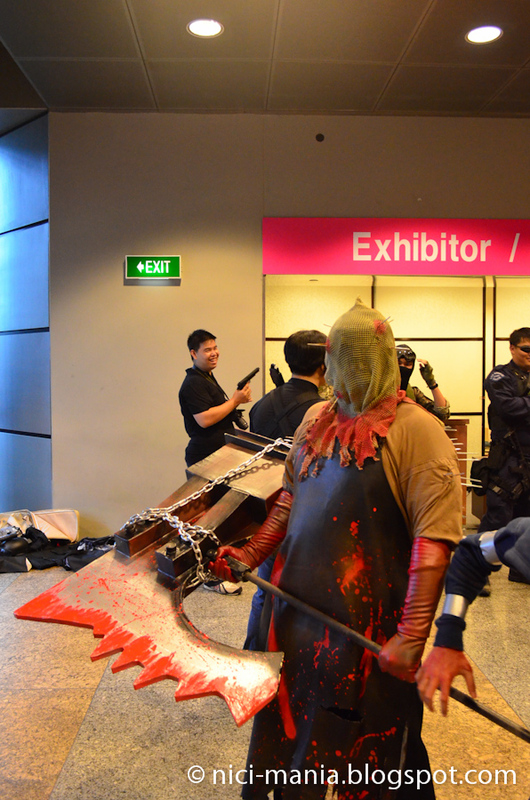 The cameras were flashing non stop. 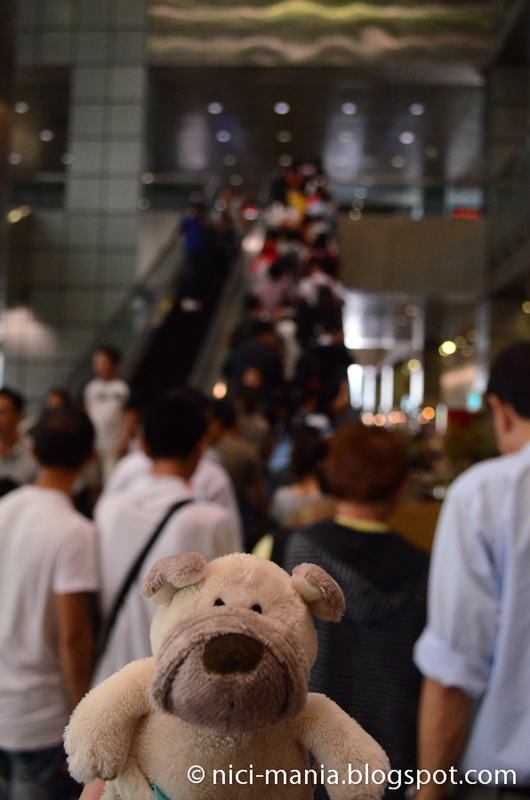 We caught a slight glimpse of AKB48 then we managed to squeeze through the crazy crowd to find some angels! There's a stall selling swords used by anime characters. 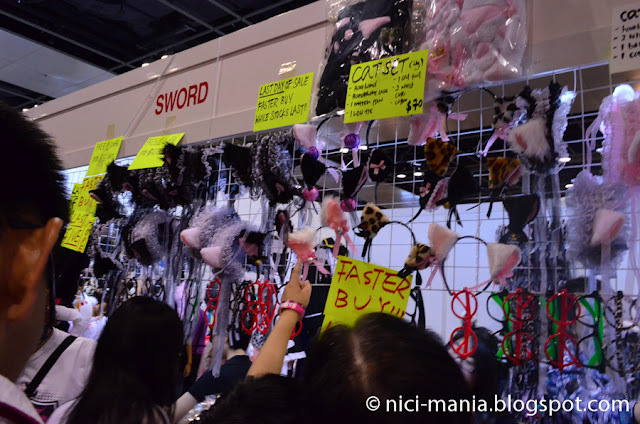 Spotted Ichigo's hollow mask and Luffy's straw hat on sale too. 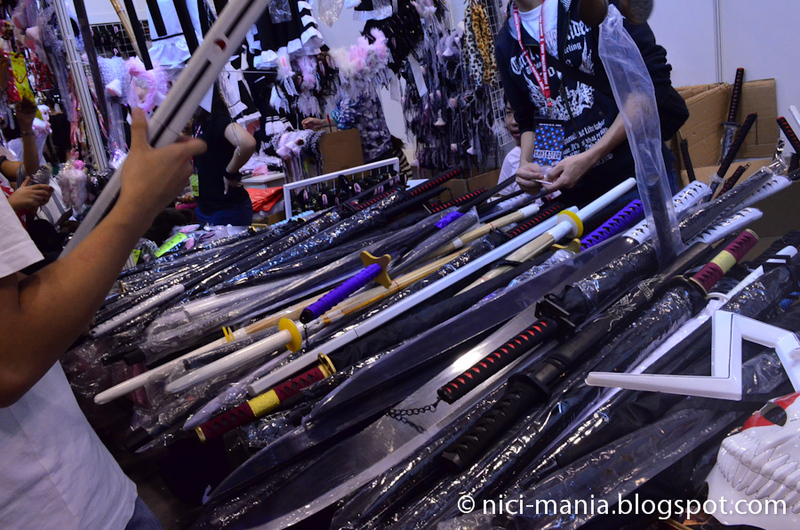 Some swords were actually umbrellas! Last day of the Anime Festival Asia at Suntec and they are clearing out their stock fast. 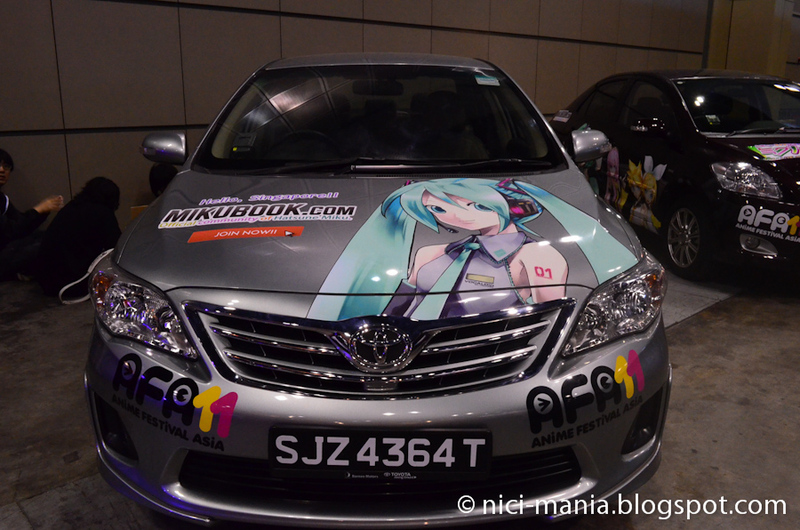 What a cool looking Toyota car with cool AFA11 vinyl stickers! More Anime Festival Asia pictures to come in the next entry! Though I'm not a fan of anime, I like the way cosplayers look. The Toyota is very well tunned!! !